The Abu Dhabi Dhow Cruise is one of the best ways to enjoy Abu Dhabi’s coastline alongside the world famous Corniche. The dhow allows you to witness beautiful sights of the coast, and Abu Dhabi city, whose skyline can rival the best cities in the world. This cruise promises to be one of the best things you will do in Abu Dhabi. 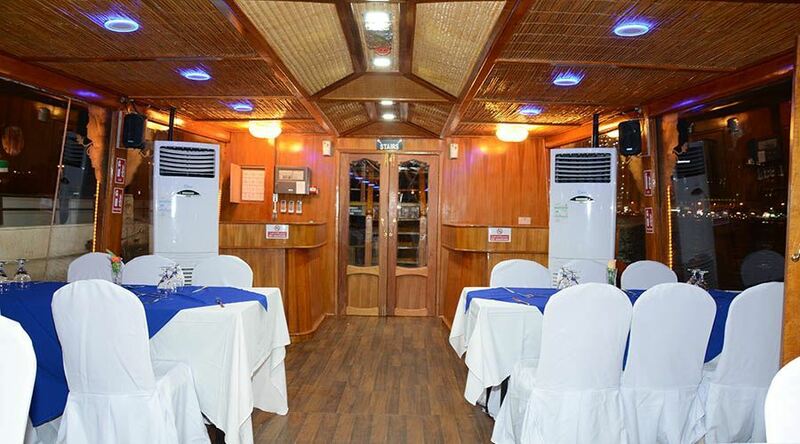 If you book now, you can also get the best dhow cruise Abu Dhabi deals. So, don’t wait up, book now and get dhow cruise Abu Dhabi price at just AED 281. This is a limited period offer. 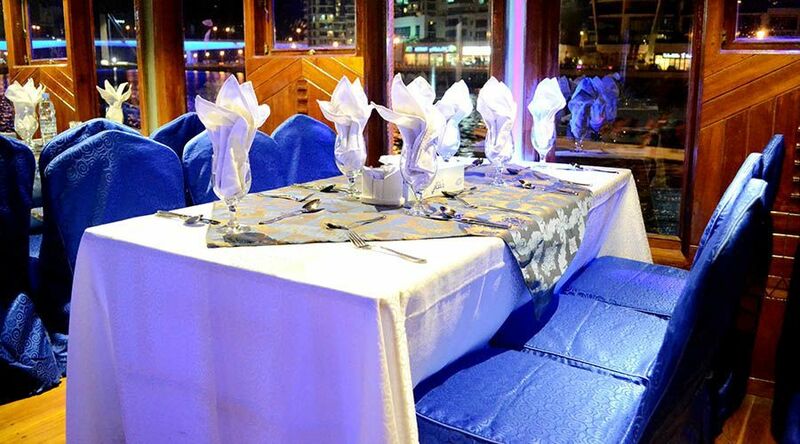 In the Abu Dhabi cruise, you will spend time aboard a traditional dhow made of wooden interiors. It has the perfect balance between classical beauty and modern comfort. 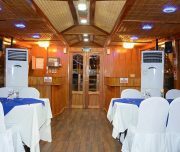 On board, you will be seated and served delicious welcome drinks, along with an unlimited supply of water, tea and coffee. 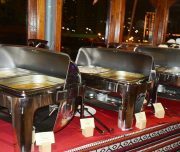 The dinner is a lavish buffet offering of Arabic and international dishes made by the best cooks and chefs in the city. 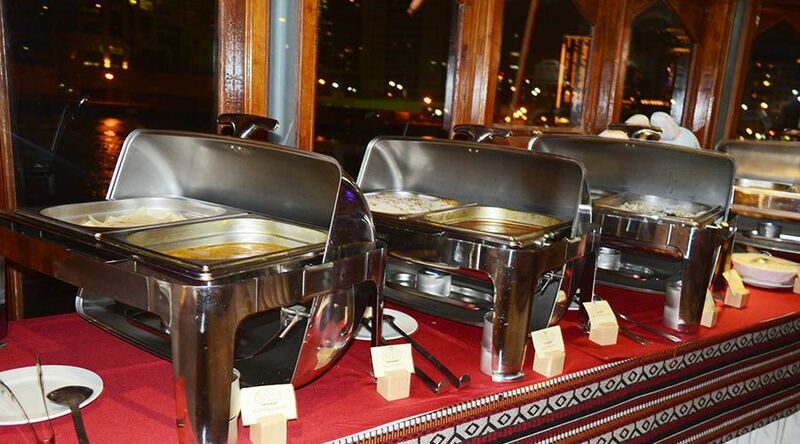 Feel free to gorge on the many wonderful dishes that are as authentic in flavour they come. 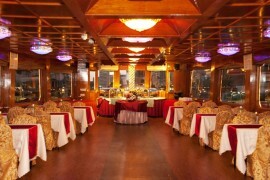 After dining to your heart’s content, you can move up to the upper deck for the best part of the cruise. The first thing you see on the dhow cruise Abu Dhabi, the Corniche is a walled beach that looks stunning. You will also see Abu Dhabi cityscape like never before. 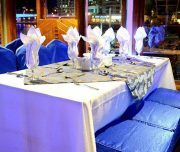 So, go for the dhow cruise Abu Dhabi, and have a wonderful time with friends, family or your special someone. Book now! Welcome drinks & unlimited water, tea & coffee. All Cancellations have to be made 12 hours prior the tour departure for them to have NO charges applicable. Cancellations made within less 12 hours of the Tour departure, will have 100% charges applicable. Refund amount will be returned back to your account within 7 working days. Children less than 3 years are considered as infants and for them, entry will be free. Children aged between 3 to 10 years are considered as child, and will be charged the set child rate. Children above age 10 are considered as adults, and charged the full adult rate.